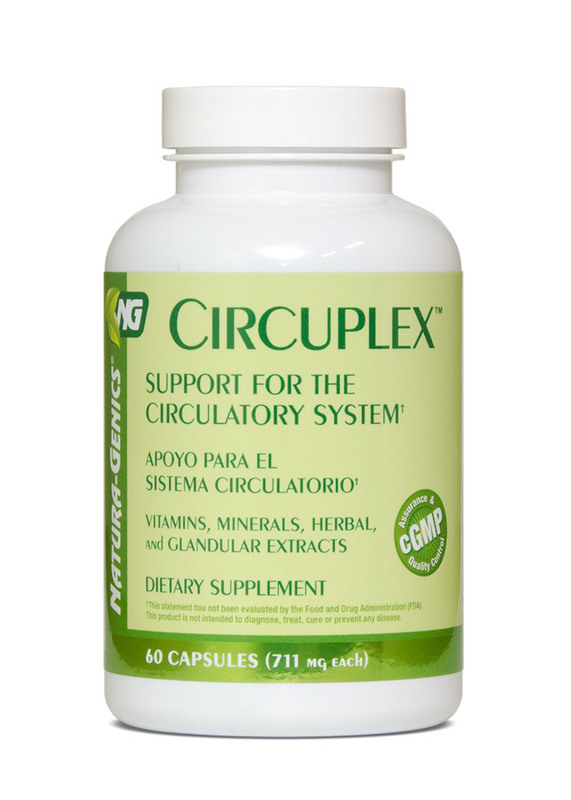 Circuplex™ has been formulated for the support of the circulatory system. This product contains vitamins, minerals, herbal extracts (hawthorn berries, garlic, butcher’s broom), glandular extracts (thymus, spleen, adrenal) among others with a total of 35 ingredients. Circuplex™ could help maintain healthy body circulation in the organism, through the circulatory network of arteries, veins, and capillaries to all extremities while providing oxygenation to cells, tissues, and organs. Suggestions: For best results take with MAGNESIUM GLYCINATE CHELATE, COENZIME Q-10, L-CARNITINE, GARLIC 3000™, and Golden Line: HAWTHORN BERRIES and GINKGO BILOBA.